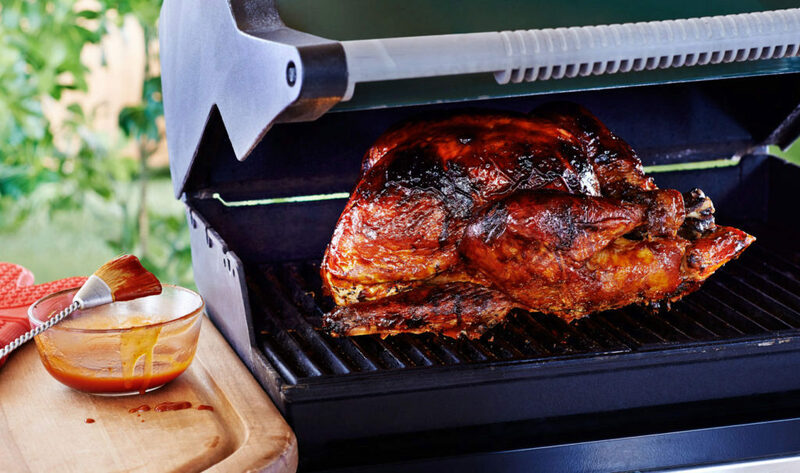 TIP - Use your barbeque to prepare roast turkey that’s moist, tender, delicious and nutritious. Cooking a turkey using the rotisserie in your barbeque is easy and results in a delicious meal. Place pan on barbeque grill preheated to medium and close lid. After 20 – 30 minutes, lower heat to medium-low and tent turkey with foil to prevent over-browning. Baste every 15 – 20 minutes. For barbeques with temperature settings, keep barbeque adjusted to 325°F – 375°F (160° C – 190°C). Add more water/stock to pan if it dries out during cooking.